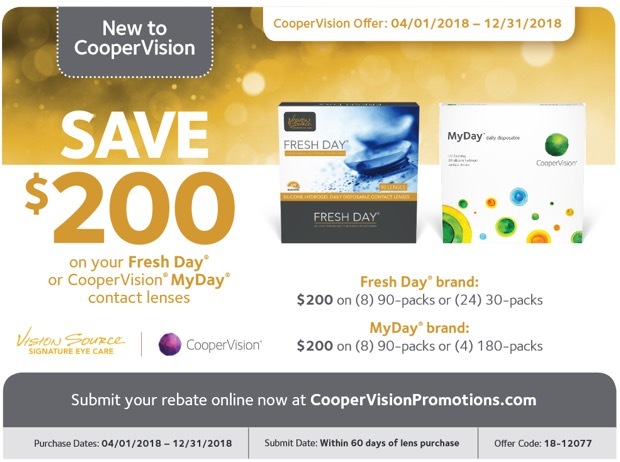 Many enjoy the convenience of a daily disposable lens like Fresh Day®. As no cleaning is required, simply toss away on a daily basis. My Day™ is the latest in silicone hydrogel technology offering even less awareness of the lens. The MyDay lens is wonderfully soft - softer than other silicone hydrogel, daily disposable lenses - yet they're easy to insert and remove. Copyright © 2019 Davenport Vision Source. All rights reserved.